Since July, 546 people have died from the disease, with most of the cases reported in Katwa near the DRC’s border with Uganda. The perpetrators behind, and their motive for carrying out, an arson attack on an Ebola treatment centre run by Medicins Sans Frontieres (MSF) in the eastern Democratic Republic of Congo over the weekend remain unknown. But this is just the latest attack on volunteers helping to fight the deadly disease. MSF staff were forced to evacuate the centre in the Katwa district which had been the area worst hit by an Ebola outbreak, according to Monday media reports. However, the World Health Organisation (WHO) said aid workers faced mistrust in some areas, fuelled by false rumours about treatment and preference for traditional medicine. “As a result of the burning of the building, it is no longer possible to care for patients there,” MSF said on Twitter on Monday. None of the patients or staff were harmed, the WHO said. 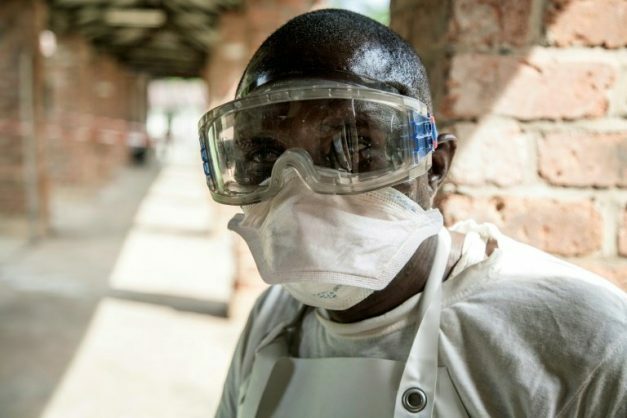 Since July, 546 people have died from Ebola, with most of the cases reported in Katwa near the DRC’s border with Uganda. This is not the first attack on volunteers attempting to help the victims of Ebola. In October last year, three volunteers with the Congolese Red Cross were attacked as they helped with the burial of an Ebola victim in eastern Congo. Two months later, political protesters ransacked a nearby Ebola isolation centre.